The Streets for People project is a collaboration between Newcastle City Council and residents in three areas of Newcastle upon Tyne. The project is funded by a grant obtained from the Department for Transport’s Cycle City Ambition Fund. 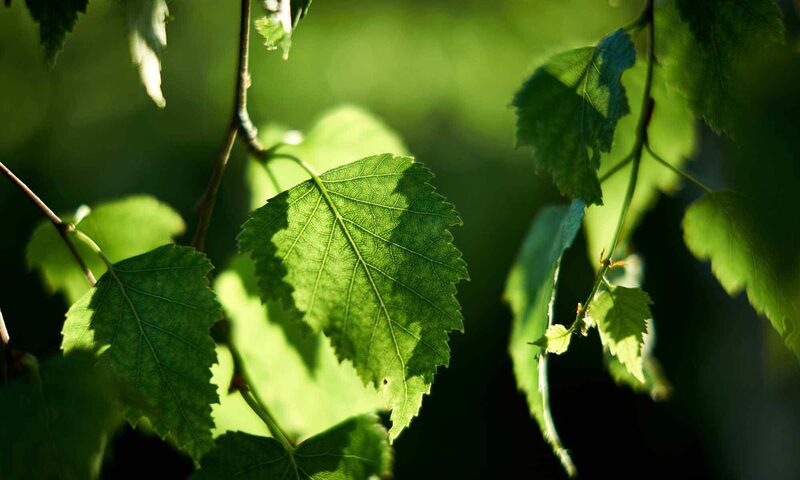 The project seeks to identify and deliver improvements in three neighbourhoods of Newcastle upon Tyne – Arthurs Hill & Fenham, Heaton & Ouseburn, and Jesmond. 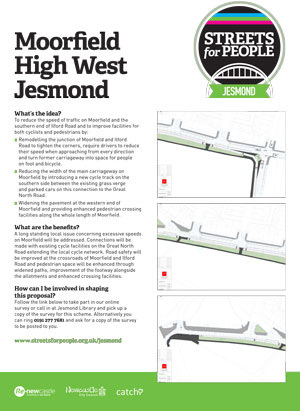 High West Jesmond is included in the Jesmond project and representatives of the HWJRA Committee have attended meetings over the last 12 months to help identify the main issues that the Streets for People project should address. This engagement included an online consultation for each of the areas, public meetings, a design workshop and direct communication with residents. In response to this engagement, residents expressed that they wanted new green spaces, better pavements, safer junctions and renovated streets that work better for everyone. Following this engagement, groups of residents in each of the three Streets for People areas have been meeting to discuss how to take these ideas forward into concrete plans. Working with urban designers and Newcastle City Council, plans are being drawn up that propose several important changes in each of these areas. Shortly the plans will be published and HWJRA will be tasked with gathering feedback from our residents and make any changes that are necessary before the plans are taken forward. The issues raised in the area of High West Jesmond have been speeding traffic on Moorfield and Ilford Road and the dangerous junctions of Moorfield with Ilford Road and, at the other end, with Moor Road South, and how to make area safer for cyclists and pedestrians. Based on the experiences, insights and ideas collected in last year’s survey about what it’s like getting around in Jesmond, a local Streets for People Reference Group have worked with an Urban Designer to come up with a set of proposals to address the issues that were raised last year. This is being referred to as the Neighbourhood Plan. The Jesmond Neighbourhood Plan includes 8 broad proposals. To find out more about these proposals, you can click on the link to download the plan and find out more about each proposal. 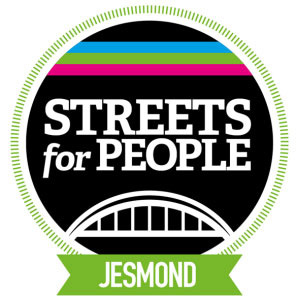 All of the proposals that have been developed in detail for Jesmond are listed on the Streets for People website. This includes Proposal C – Moorfield (including junction with Ilford Road). These are accompanied by technical drawings, which show the exact changes that are proposed for each of the streets being dealt with through Streets for People. These technical drawings are in PDF format and can be downloaded by clicking on the relevant links on the Streets for People website. All of these drawings are proposals, meaning that they are subject to change as a result of the feedback we receive from people across the city. Because of this, they do not necessarily represent the final versions of what will be built in these areas. They are titled as ‘pilot arrangements’ within the drawings themselves in order to reflect this. When you are ready to give us your feedback, Streets for People initiative want to hear from you and you can provide feedback via their website. You have until 30 November 2017 to submit your feedback.